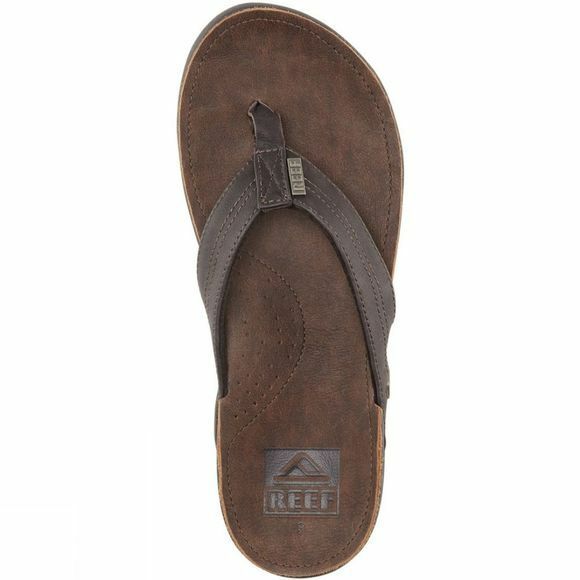 Reef Mens J Bay is a classic full grain men's leather sandal named for a classic break. Instant Comfort, super-soft textile lining and Reef metal logos are just some of the features that make the J-Bay III sandals stand out. Take note of the deep contour in the 51 percent recycled EVA midsole and Reef Supreme Design outsole made of 25 percent recycled rubber. Long rights like J-Bay, or long lefts. Doesn't matter with these premium full grain leather upper and footbed.